Have the highlights of Rome in your hands and go inside the Pantheon and San Luigi dei Francesi (National French Church). We will pick you up at your hotel and take you to visit the highlights of Baroque Rome, starting from the Spanish Steps. Moving next to Piazza Navona, enjoying a nice walk through the streets of the Capital. Discover secrets and legends of the most popular stairway of the world, the background of many Hollywood movies. Enjoy the 18th-century atmosphere of the Square with the beautiful Barcaccia, a fountain designed by Bernini father and son. 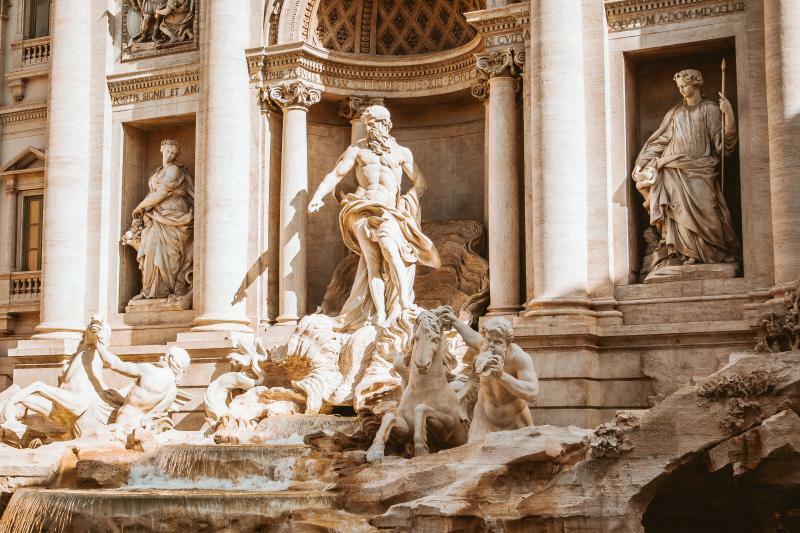 Then head to Trevi Fountain: the imposing set for the Oscar-winning movie by Fellini “La Dolce Vita”, an icon of the Italian sixties and beloved by visitors for the coin-throwing tradition, to ensure a future visit to Rome. The tour will continue with a stop at the Pantheon, one of the most precious ancient Roman monuments. Once Temple dedicated to all the Gods, converted later in a Catholic Church, this is a real masterpiece of architecture with its original ancient dome with the “oculum” and its interior decorations. The visit will continue with a stop inside the Church of St. Louis of the French, which hosts beautiful works of art by Caravaggio. The tour ends in one of the most beautiful squares of Rome: Piazza Navona with the splendid Fontana dei Quattro Fiumi by Bernini and the imposing St. Agnes Church by Borromini.